Pastor Craig Nicholia and his Mountain Movers church are seeing the Holy Spirit move in miraculous ways in the state of Alaska. The church is inviting one and all to come free of charge to the International Prophetic Fire Conference and Revival where God has worked many healing miracles in the past. Pastor Craig also shares about how Heidi Baker was healed in Alaska many years ago. 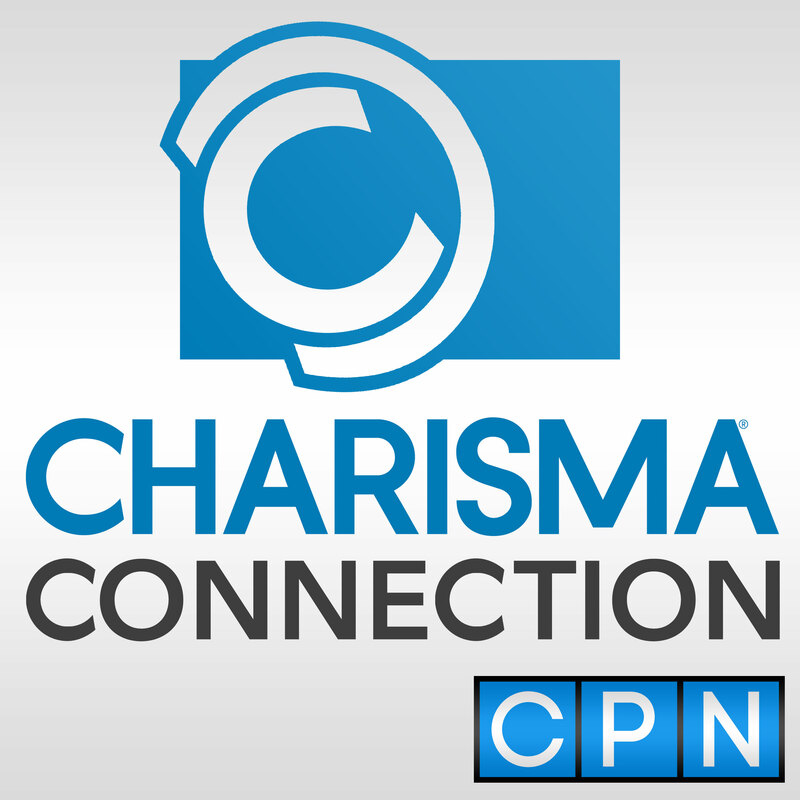 Chris Johnson: This is Charisma Connection. I'm Chris Johnson. Have you ever been intrigued by the state of Alaska? Many of us have. Apparently. God is doing some amazing things there. We'll learn more about them in this podcast with Craig Nicholia, pastor of Mountain Movers of Alaska Church. Pastor Craig, welcome, and I love the name of your church. I understand you founded Mountain Movers church. How did that come about? Pastor Craig Nicholia: About seven over seven years ago, my wife and I decided to do a new ministry. We pastored another church prior. We got together 20 people and now it's about 200. Chris Johnson: You're doing well then. What's your what's your wife's name and what's her role? Pastor Craig Nicholia: My wife's name is Rose. She is the assistant pastor and founder. We are also both school teachers in the Fairbanks area. We're working in the public schools. She teaches elementary school, and I teach high school. Chris Johnson: It looks like you have your hands full. Tell us a little bit about your heritage and also your testimony as a believer in Jesus. Pastor Craig Nicholia: My grandfather’s name was Raymond Paul Sr. He was a five-time world champion dog musher. I grew up in a small village called Tanana, Alaska. Twenty-six years ago, I got saved in my hometown of Tanana. I had a visitation from Jesus and it transformed my life. Chris Johnson: Do you hear of those type of things very much in Alaska? Pastor Craig Nicholia: Yes, that God is pouring out His Spirit here. It's a harvest field up here that hasn't been really tapped into as far as souls. I always go to the quote of Billy Graham. He was gathered together in Albuquerque, New Mexico with 75 Native American pastors in 1975. He said the Native American is the sleeping giant, and if they awaken, the first Americans will help win America back to Christ. So, we're seeing some magnificent things up here: signs, wonders and miracles for God's glory, for Jesus’ His glory. Chris Johnson: How interesting and sometimes I think Billy Graham was prophetic too not only an evangelist. Pastor Craig Nicholia: Exactly. He chose his words carefully and wisely, and he didn't just spout off things, so to speak. But he did say that. I'm (inaudible). I'm indigenous. Our congregation is mixed Caucasian, African, a couple from the Bahamas, they are ministers there. They've joined us. They’ve relocated here. A family from Africa moved to Alaska, the husband and wife and three kids to help us, missionaries. It's amazing. Chris Johnson: Some of those people are moving from rather warm climates to a cold one. Where did your church get its name? I assume it comes from the Scripture and why did you want to be known as a mountain mover? Pastor Craig Nicholia: Jesus Himself said if you have faith, as small as a grain of a mustard seed, you can say to this mountain, be thou removed and cast to the to the sea, and it shall be done. And so, the Holy Spirit gave me that name. It's something we live by; it’s something we practice. It's something we do. It's something we do by faith. Like anywhere in the world, there are problems here in Alaska, just like any other state or country. Yes, God's moving. But there's still a lot of work to be done. That's a tool that God has given the church, to move mountains, to push back the enemy in communities to break curses off of people's lives, to release healing, to release restoration. And then, of course, it's all through the gospel of Jesus Christ, the Bible. So, it's something we really live by. I went into the local prison here three weeks ago. I've been going there for 25 years. Thirty to 40 men came forward to receive Jesus as Lord and Savior. So, we're seeing powerful things happen, but yes, anybody who has faith in Jesus can move mountains with their prayers. Chris Johnson: So, you are seeing people come to the Lord. You're seeing signs, wonders and miracles in Alaska. So, what's happening there in the land of the midnight sun? Pastor Craig Nicholia: There is definitely a move of the Lord. We're kind of out of the mainstream, tucked away up here in the north. But there's powerful moves of the Spirit. The number one thing is salvation. The rest of the things follow: Healings, deliverances, signs, wonders, miracles. We're seeing that on a weekly basis. We’ve been pastoring for the past 18 years in this city. We see those things manifest quite often. Chris Johnson: This is the fourth year that you've done your International Prophetic Fire Conference and Revival which I understand is June 3-13 in Fairbanks. I've seen your ad which indicates that you're expecting a tsunami wave of healing to be released. Is that what you've experienced there in past years? Pastor Craig Nicholia: Absolutely. We have a healing evangelist coming from Sweden. We have a pastor coming from India. We have a pastor from Uganda who is going to be with us we have an ex-gang leader, Art “The Free Man” Nelson. He pastors a church in Seattle and he is going to be with us. He's a phenomenal speaker. All are very anointed. We know Jesus, by His stripes we are healed. We have had people come into the meeting and nobody's even laid hands on them. They were healed by the power of the Holy Spirit. To God be all the glory. But we've seen that each year and we're expecting even bigger things this year in 2019. Chris Johnson: Amen. Now that's a that's a pretty long conference, you've got there about what, 10 days or so. You must have a pretty full lineup. Pastor Craig Nicholia: Yes, and that's normal for us. We did over 20 services during the second annual conference; we did over 20 services and 10 days. We had people from all over the world come actually, maybe in small doses, individuals came. I don't know if you guys have heard of Heidi Baker, but she and I were trained under the same ministry, Iris Ministries, before Mountain Movers. She used to come to Alaska a lot. She got healed of MS in Fairbanks, Alaska. Chris Johnson: We've written about Heidi Baker a number of times, plenty of times. Pastor Craig Nicholia: She and Rolland are personal friends of mine. But, they're busy, obviously, in Mozambique and traveling the world working with orphans. That was over 20 years ago she got touched and healed here in Alaska. Chris Johnson: Maybe she was a precursor to the tsunami wave of healing. Pastor Craig Nicholia: I believe so. She's dynamic, she's dynamite. She's a great blessing to the body of Christ in in the world. Chris Johnson: How else would you inspire our listeners by what the Holy Spirit is doing in Alaska? Pastor Craig Nicholia: I would say that this is a move of God, not a move of man. We want to be touched by Jesus, not man. We want to be inspired by Jesus, not man. We all are encouraged by each other obviously. But there are going to be visitations by the Holy Spirit in these meetings and the Lord will truly have His way. He delights in blessing His children, giving good gifts to His children. I would even encourage pastors and ministers to come and just be a part of it, to receive, to be refreshed. There's so there's so many things going on in our world. It's a busy, busy world. I can only imagine in the lower 48 that pastors must be super, super busy because we're busy in a small town of 100,000 people. But I encourage pastors and ministers to come, even if they can only come for a weekend to be revived, to be reloaded, to be refreshed. For the rest of the interview with Pastor Craig Nicholia, please click here.